Our primary goal is to make sure our students learn what Christ taught. 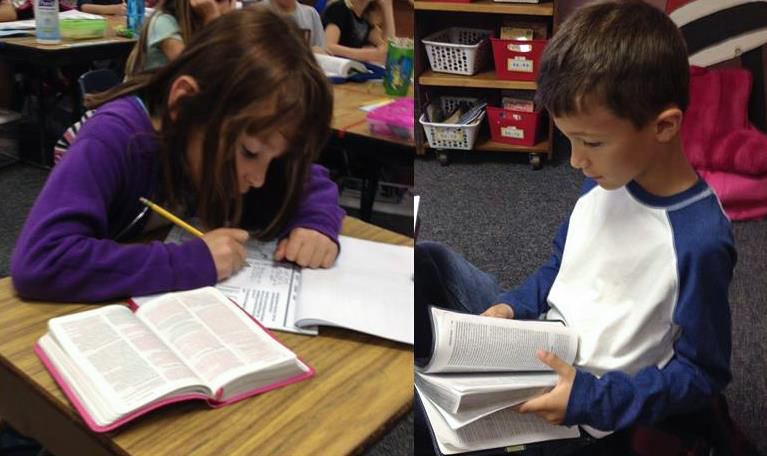 To do this, we integrate Biblical truth into every subject and every activity from preschool through high school. At each stage of development, our students are exposed to Christ’s teachings during their Bible study and Bible classes, within all subject areas and modeled by their teachers. Beginning in preschool we offer biblical instruction through stories, puppets, Bible songs, acting, sharing, helping, and showing kindness. When our students reach elementary school, Bible is one of their core subjects and they are taught biblical truth as God’s word is integrated into each area of study. Once in junior high school, Biblical Survey or Life of Christ classes are part of the core curriculum. In high school, three years of Bible classes are required culminating with the senior year class, Christian Life Skills.